Dr. Shiver and David Allen – “Chemistry” reached 5 Million streams on Spotify! 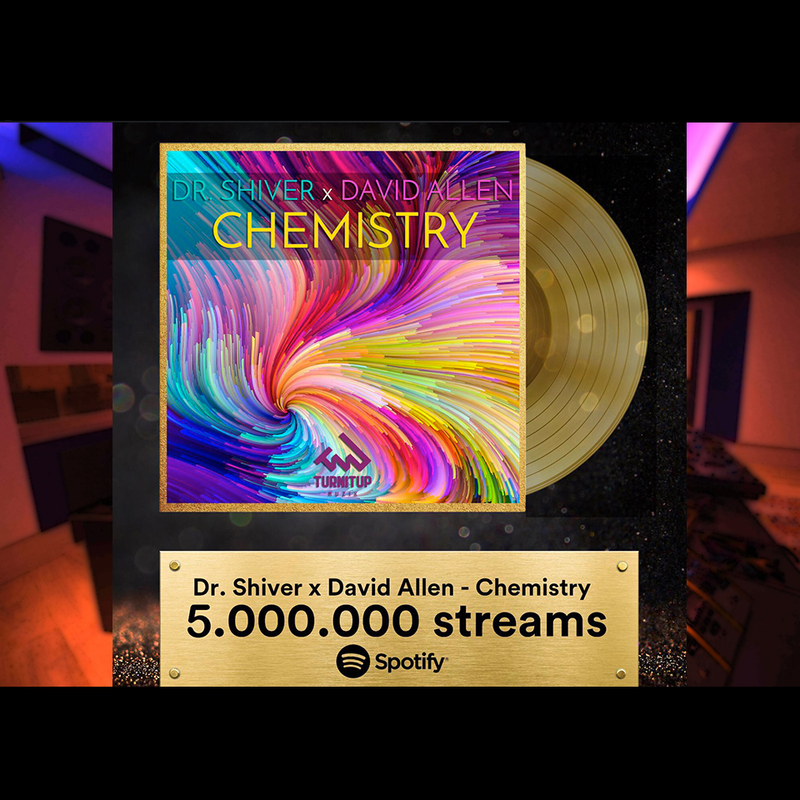 Dr. Shiver and David Allen – “Chemistry” has been played more than 5 MILLION times on Spotify! Go have a listen and you’ll understand the reason why..
David Meccariello, known as David Allen, was born in 1998 in Benevento. He is a truly talented musician: he approached piano when he was 8 years old and then quickly learnt to play guitar. His passion for music and eclectism pushed him to play drums when, in 2012, dance music finally hooked him and he started to produce. David has always been very humble, willing to learn, grow up and improve his artistic skills. He worked hard for several years before making his debut in order to develop his own artistic identity and skills. track for the official after movie of Tomorrowland 2017! After the success of “Kubera”, in October he released “Wusu” with Dr. Shiver. The track reached the #18 position on 1001 Tracklists for 2 weeks in a row thanks to all the supports received. Art&Music Recording, in 2002 and opened the Art&Music Studios based in Italy in October 2012. Born and raised in Milan, Dr. Shiver started his career playing piano, Hammond organ, harp and synthesizers at early age of 5 years old. Lucio Dalla, Angelo Branduardi, Alexia, and many more. With a classical and blues background, he then approached dance music and began his career as a producer, sound engineer and songwriter.